Tahini is not just for hummus. Tahini can me used in so many things. I have made cookies with tahini, dressings with tahini and now this tahini granola. Homemade granola makes an awesome breakfast and tahini takes it to a new level of awesomeness! 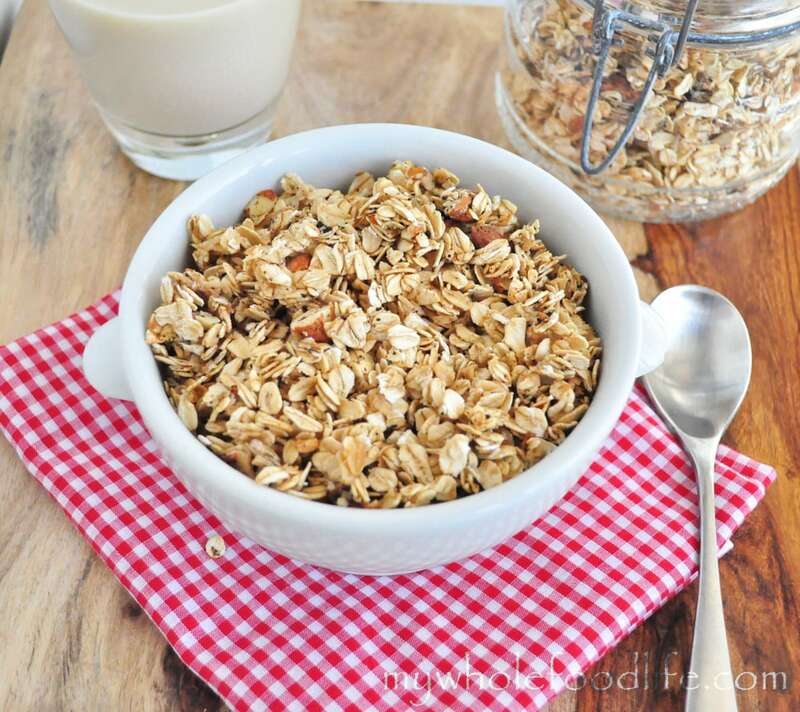 If you are going to attempt to make your own homemade granola, you need to give this tahini granola a try! Mix wet in a smaller bowl . Bake for 30 minutes, stopping once to shake halfway through. Enjoy! I will be trying this one with pumpkins seeds! I found the vanilla bean paste you've mentioned in posts! I would love to know how it turns out with pumpkin seeds! I have tried pecans and also pine nuts. This looks so yummy! I love tahini in an unprecedented way so this just makes complete sense :) I will be playing with this a bit, thanks! !